If you are thinking about joining Prepare for Change as a Member or Volunteer, we have provided some basic information below about the organization. First, some definitions of our common references. How is the PrepareforChange.net Website organized? The website was created as a voice for the New Society Groups started at the New Society Conference in May 2013. At inception the website invited other followers of Cobra to join the Network and Groups to Prepare for the Event and help create the New Society. Now the website has up to eight hundred thousand views per month and fifty thousand members. With 2600 articles available to read as well as information needed to organize and prepare groups for the Event and create a New Society. The website is supported by donations and staffed with an all volunteer team of web professionals with a mandate to build a site able to handle the influx of visitors expected at the time of the Event, while also supporting the New Society Initiatives requested by the Group Leaders, Volunteers and Members. Connecting the worldwide participants together has become the central task of the web team, which is adding new languages and social network features to facilitate better communication locally and globally. The languages feature consists of providing a complete website on its own sub-domain in the additional language, including a backend in that language. The social network feature is designed to unite all the languages with a shared database allowing members to connect with everyone regardless of language. The ambitious expansion into multiple languages requires that the web team grow to meet the demands created by each language having its own complete site with management needed for all parts, so each language will need about six people to maintain it and keep it current. What is the Prepare for Change Network? A global network of Event Support and Sisterhood of the Rose Groups has formed out of the participants who joined through the website. There are over 31,000 members who belong to local groups formed since May 2013, on all continents of the planet. Members on the Facebook page exceed fifty thousand. Regardless of being in a New Society Group, everyone belongs to a Network Group since they are based on location, or place of residence, rather than the skill or talent contribution a member chooses to make. 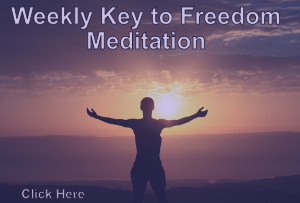 The Network Groups organize around their cities and schedule meetings on Sunday evenings where they share ideas and strategies for the Event and conduct powerful meditations to assist the global population to be calm and connect to the higher frequencies. Everyone who has signed up on the website is considered a member. What is the Prepare for Change Council? Each of these groups has an individual form with a detailed auto reply that provides up-to-date information about the Groups activities with links to pages and sites that can help. Who are the Prepare for Change Council Leaders? They are the original Volunteers from 2013 who created and currently maintain the website. They were elected/chosen by the members at the beginning in 2013 to represent the New Society Groups. Two additional Council positions were created for Event Support Groups, and the Sisterhood of the Rose, and new Council members have emerged from participating members as time has passed. They represent both the Members and the Volunteers. There are eight Council seats, with each one having a second, chosen by the Leader, who attends meetings when the Group Leader is unable. This makes a total of sixteen people who are considered Council members. What are the New Society Groups? The New Society Groups were defined by the Resistance Movement as needed after the Event, for the purpose of being “way showers”, or being the ones who will step forward after the Event and lead by example. (see this section of the website) All members are associated with New Society Groups and for practical purposes these groups are similar to the departments of a magazine, with each Group Leader responsible for a particular area of interest discussed on the website. Activities related to New Society Groups are now organized through the Volunteer Assembly. I was looking through your site and saw that you share information from www.addictioncenter.com. We wanted to thank you for your concern on everyone health, specially on the addiction side. in America ( https://quitopioids.com/heroin/american-heroin-epidemic/ ). found this task a lot more complex when compared with the majority of other professionals inside this marketplace. Thank You for all you share and do for everyone, your members and those who happen to find or visit your site and blog! I have been following your blog and would like to put up a Guest Post. The post would be in sync with the topics covered by your blog. I already have posts published on some of the established blogs in the niche. Absolutely, I will keep your interests in mind. Kindly let me know the details if you will be interested.